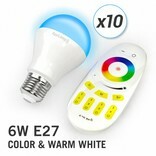 Ten 6 Watt color + Warm white LED bulbs with E27 socket. 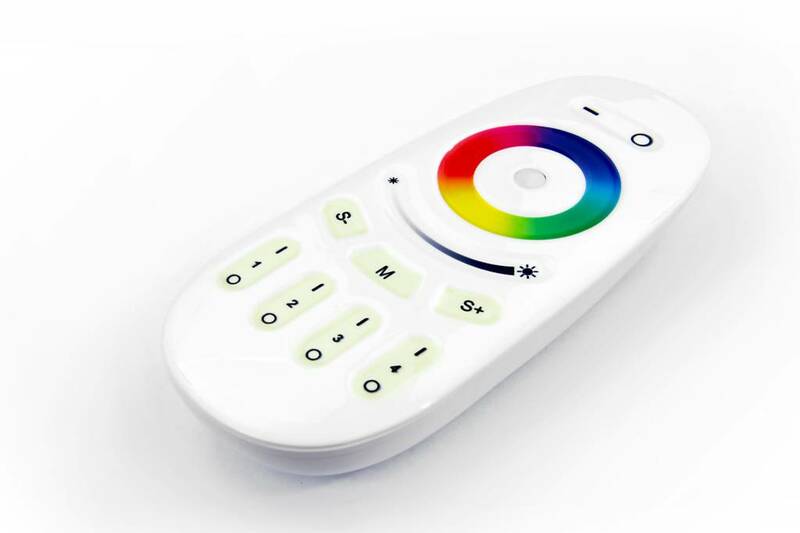 Including a multifunctional RF remote control. 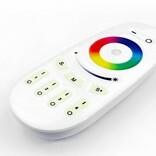 Color and brightness are adjustable in four individual zones. In addition to full color, now real warm white light with extra built-in white LEDs. 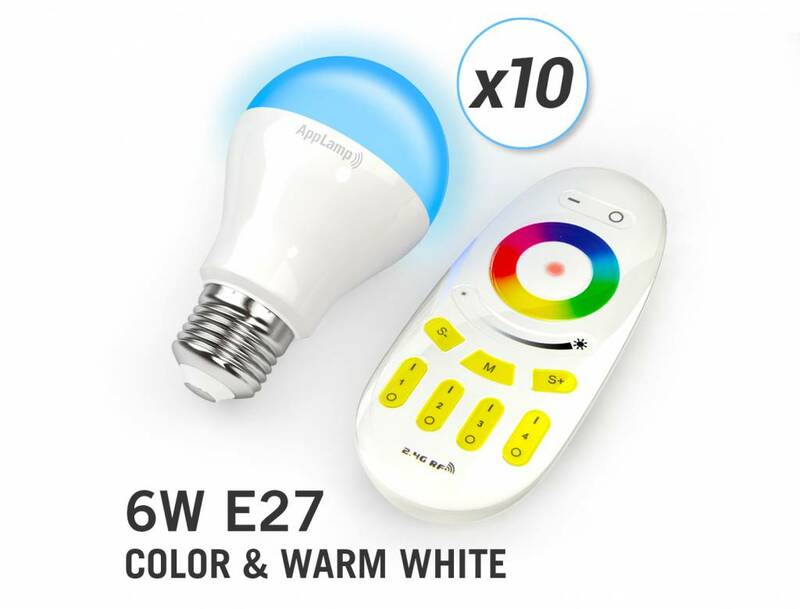 Give your home a makeover with these smart E27 Full Color LED color lamps including an RF remote control. 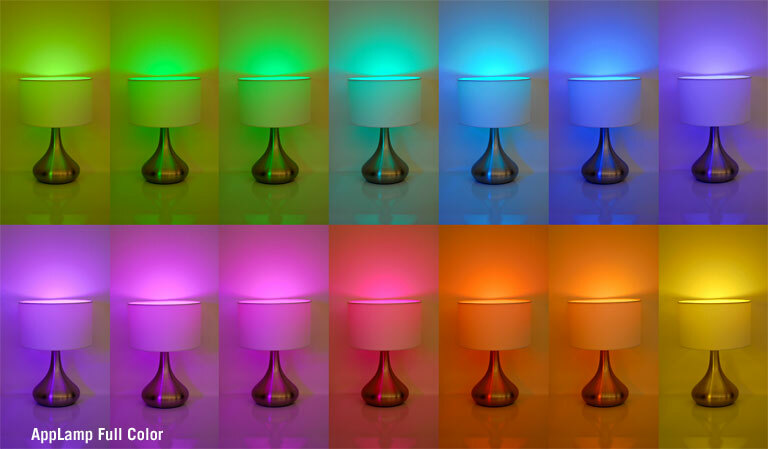 The RGBW color dimmable LED lamps are solidly built and have a consumption of only 7 Watts (max). 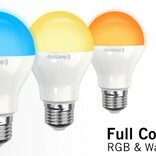 Bring color and atmosphere in your living spaces and also save up to 80% energy. 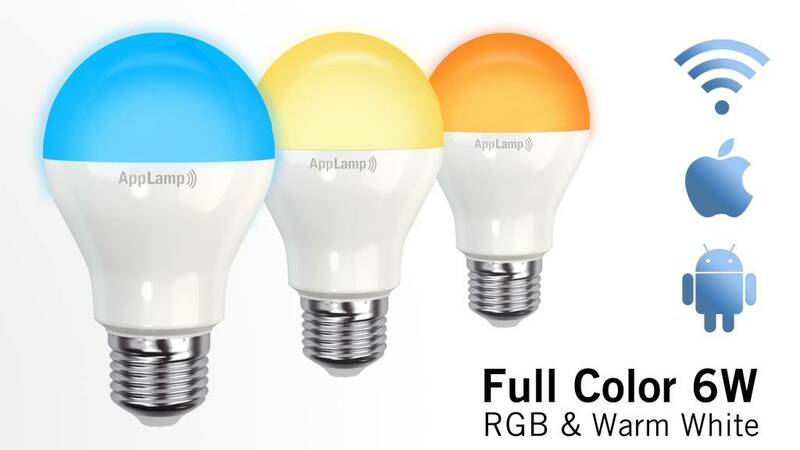 With a lifespan of over 50,000 hours each AppLamp pays itself back in no time!